This year, March 14 marks the 46th anniversary of National Ag Day by the Agriculture Council of America. It’s an important day for those of us involved in agriculture. It’s an opportunity to share the great story of American agriculture with the rest of nation. Nowadays, too few people truly understand the role U.S. agriculture has on our daily lives. From providing safe, abundant and affordable food and fiber products to its contributions to a strong economy, U.S. agriculture is working harder than ever to meet the needs of Americans and a growing global population. In fact, each American farmer feeds about 165 people. And with today’s emerging technologies, farmers are poised to produce even more and in a more environmentally friendly manner. But U.S. agriculture is more than just farming. About 22 million Americans work in agriculture-related fields. Today’s agriculture industry offers more than 200 rewarding and challenging careers like communications. That’s why we strongly encourage young people to consider a career in agriculture, even if they did not grow up on a farm or in a rural area. As a marketing communications agency with strong ties to agriculture, we at Rhea + Kaiser embrace our role as a storyteller for agriculture. 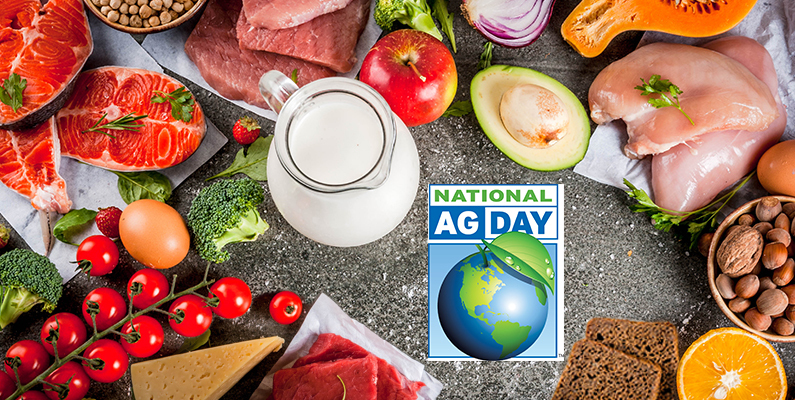 And on National Ag Day, we join with producers, associations, companies, colleges and universities, government agencies and all those associated with this great industry to recognize and celebrate agriculture in our country.